We’re proud of the significant advancements that we have made in our social and environmental goals, reflecting how we run our business and make a productive contribution to society. To determine eligibility and learn more about the procedures for applying for funding, click here to answer a brief questionnaire and complete an online application. All grant requests must be submitted online; ADM will not review paper requests. ADM Milling UK is committed to being a World Class Corporation in its stewardship of the environment. We are investing in reducing our energy usage in both our trucks and mills, as well as investing alternative energy generation, such as the hydroelectric power plant positioned across the river to our Knottingley Flour Mill. 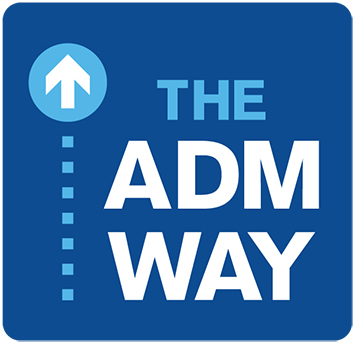 The ADM Way explains who we are as a company and what we are here to do. It describes what we want to be in the future and what we will do to achieve that aim. It expresses what we value, what we focus on, and what is important to us. It creates a common understanding for all colleagues and for those who interact with us.